this Madara Organic Baby & Kids, Cocoa & Plum Creamy Oil was on my Christmas List Wish but I couldn't wait and I got it earlier. I had a sample of this product before and I fell in love with its smell. It smells so yummy like a marzipan:). Another thing is that for the body care I often use natural products for babies because they should be free of toxins and of the highest quality. However, I haven't ever tried anything from Madara brand. Do you have any experiences with it? I have heard that their hand cream http://www.madaracosmetics.com/en/products/85-protecting-hand-cream-75ml.html is very good but is it worth buying? Or maybe you would recommend something else? 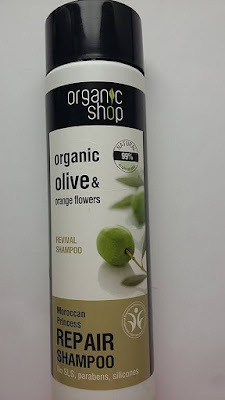 I am always looking for a new organic hair conditioners. I have recently discovered a french company Planete Bleue and their range Born to Bio. "Born to Bio was born in France in Auvergnes volcanic mountains in the heart of Planete Bleu's laboratory. It was created to praise the natural splendor of cosmetics and give the user a total experience that combines natural ingredients. 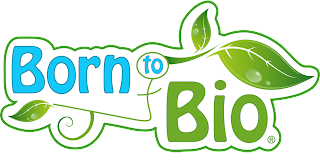 Born to Bio products contain the best ingredients. All products are certified by ECOCERT and have a COSMEBIO label." It all sounded great and I wanted to test some of the products. This hair conditioner was in promotion and had good ingredients so I bought it. Producer's description: Shea butter and Tahiti Monoi oil containing hair repairing conditioner nourishes hair from root to tip and makes them easy to comb. Suitable for all hair types. Usage: apply the conditioner to towel-dried hair from root to tip up and leave for 2-3 minutes. Rinse thoroughly. unfortunately this turned out to be a huge disappointment. It basically does nothing to my hair. 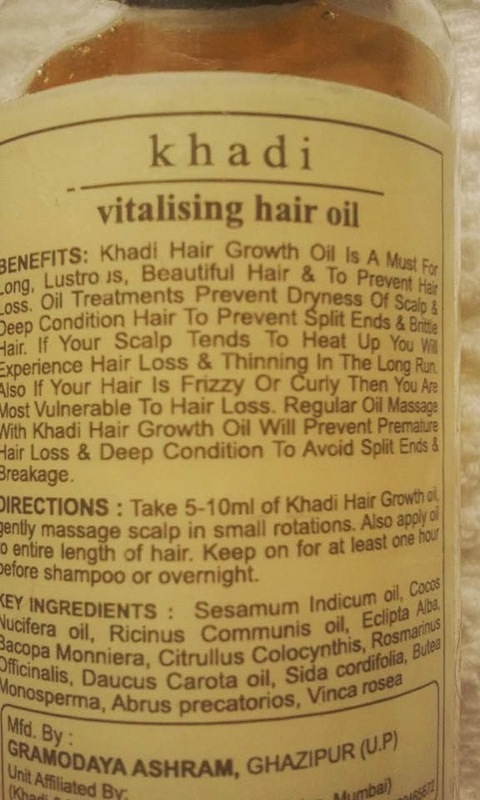 It doesn't moisture the hair, it doesn't repair it and certainly it does not detangle as claimed. After application I actually have to use another conditioner. Shame because I am happy with their another product which is a ginger deodorant. The conditioner has quite thick consistency and nice nutty smell. And because of that I started using it as a base product for my own hair mixtures.I use it in combination with a with a flax seed or castor oil and it works ok. Ingredients: water, hordeum vulgare stem water*, cetearyl alcohol, camellia sinensis seed oil*, brassicyl isoleucinate esylate, diglycerin, gluconolactone, brassica alcohol, arginine, butyrospermum parkii butter*, parfum, cetearyl glucoside, cocos nucifera oil, sodium benzoate, dicaprylyl ether, hydrolyzed wheat protein, lauryl alcohol, cocos nucifera fruit extract, tocopherol, glycerin, geraniol, glycine soja oil, citric acid, calcium gluconate, gardenia tahitensis flower. * = Organic. Raw materials 99,6% are natural and 21,9% are organic. 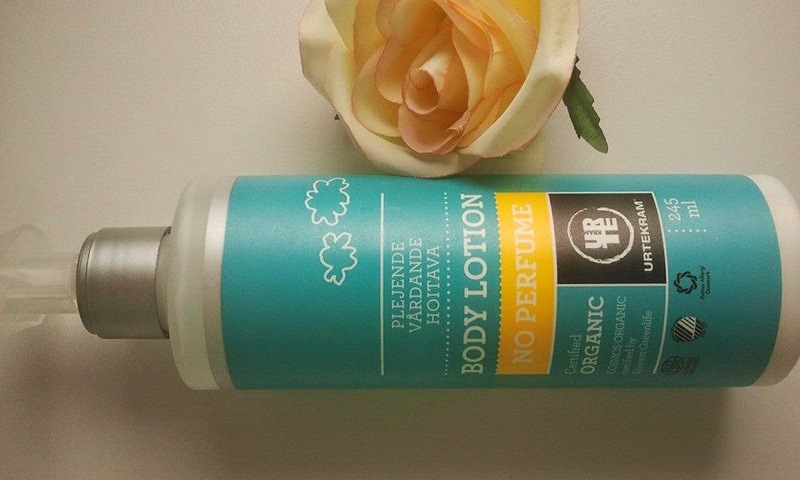 today I would like to review an organic No Perfume body lotion by Urtekram which is a danish company producing natural and organic products for the hair and body. They don't test on animals. "Give your skin some special attention without any kind of perfume. Filled with nature’s own super care givers like aloe vera, shea butter, olive, apricot kernel and evening primrose oil, making your skin healthy and silky soft". I like this body lotion very much. It leaves the skin moisturized and nourished. This effect lasts very long. I would even say that the balm generally improves skin texture when used over an extended period of time. I find it very important, especially now in the winter when the air indoors is dry because of the heating. The lotion has thick and rich consistency so it takes a while to absorb fully. If you are in a hurry in the mornings maybe it would be better to choose a different product. The balm is not oily so it will not stain the clothes. The only downside is its smell. It is no perfume body lotion but still it has some kind of smell which is rather unpleasant for me. I cannot describe the smell but I don't like it. Good that it is not strong and doesn't linger on the skin. I can just put clothes on and forget about it. Overall, it would be a great balm if not the smell. Then, again , we are all different and what doesn't suit me may suit others. I would say give it a try, especially that the price is reasonable- 5.99 €. For an organic body balm it is a really good price:). it is a baby oil, but I think that what is good and safe for the baby must be good for me as well. I am very concerned about the impact of chemicals on the health. It is very important for me what I apply on my skin and I try to choose natural creams and body lotions. This balm I got from iherb as usual. Please feel free to use my code TAP615 and get up to 10$ off your first order. 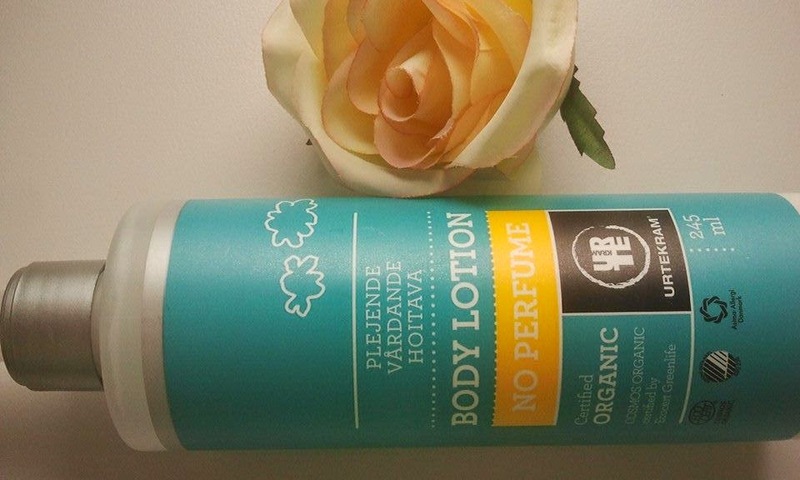 This body oil leaves the skin smooth, nourished and moisturized. For the best results I apply it after the shower before toweling off when my skin is still wet. Because it contains oil of mandarin it is energizing and the best for the morning shower. It absorbs quickly, doesn't leave greasy residue so the clothes are safe. This Organic Baby Oil, is a light moisturizing oil that absorbs quickly, leaving skin silky to the touch, not greasy. This USDA 95% certified organic oil is made with skin-soothing organic moisturizers – Organic Olive Oil, Jojoba Oil , Tamanu Oil & Sunflower Oil to feed and protect skin of all ages. *Helianthis annum (sunflower) seed oil, * olea europaea (olive) oil, *simmondsia chinensis (jojoba) seed oil, cocos nucifera (coconut) oil, citrus nobilis(orange peel) oil, * vanilla planifolia*, calophyllum tacamahaca (tamanu) seed oil. today I am reviewing another Badger product for the body. I have been using it as a body cream after a shower. For the best results I apply it before toweling off when the skin is still wet. This way it absorbs quickly and doesn't leave a greasy residue. Sometimes I use it as a nourishing facial night treatment. It is also good for the massage. It smells divine. I can smell roses, lavender an chamomile. The skin is moisturized, nourished and of course smells lovely. I find it very relaxing as well, it helps me to calm down before sleeping. Your skin will thank you!:). I got it from iherb as usual. Please feel free to use my code TAP615 and get up to 10$ off your first order. Below I have attached manufacturer's description which I find very useful. 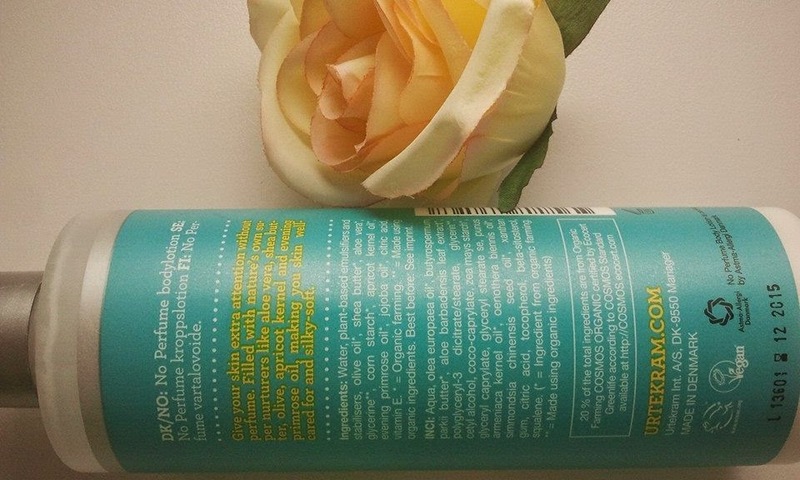 "Ultra-absorbent blend of restorative oils. Nourishes, replenishes, and softens skin. Lightly scented with organic extracts of true Damascus Rose, Roman Chamomile and French Lavender. Go Beyond Lotions and Creams. Body oil is the purest skin moisturizer: gentle, soothing, highly absorbent and completely compatible with your body's natural chemistry. Simple, whole, organic plant oils are packed with antioxidants, vitamins and nutrients, and are naturally good for your skin - they nourish, replenish, and soften skin, and help reduce the appearance of wrinkles, stretch marks, and fine lines. Damascus Rose Antioxidant Body Oil with Lavender and Chamomile honors your beautifully evolving body with the delicate fragrance and skin soothing power of Organic Damascus Rose, the flower of beauty and wisdom. Essential oil of Rose has been used traditionally to restore delicate skin, and is one of the most precious and expensive ingredients we use. Directions for use: For best results, use daily in place of lotion or skin cream. Can be used for full body care or as a night time facial treatment. Use sparingly, and be amazed at the results: your softest, healthiest skin ever!" Ingredients: *Simmondsia Chinensis (Jojoba) Oil, *Olea Europaea (Extra Virgin Olive) Oil, *Punica Granatum (Pomegranate) Oil, Essential Oils of *Lavendula Angustifolia (Lavender), *Rosa Damascena (Rose Otto) Oil, and Anthemis Nobilis (Roman Chamomile), CO2 Extracts of *Rosa Canina (Rosehip), *Hippophae Rhamnoides (Seabuckthorn), and *Calendula Officinalis (Calendula). as I have said before I love Badger's products. They really work and they are natural. 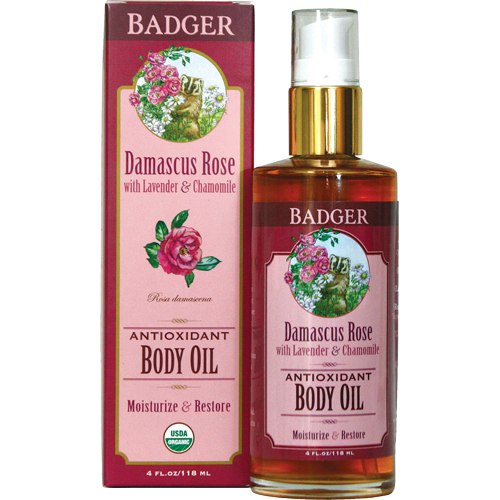 Today I would like to describe Badger's Damascus Rose Beauty Balm former Evolving Body Balm. The producer has changed the name and the box of the product but the ingredients are the same. Like most of my natural beauty products I got it from iherb. Please feel free to use my code TAP615 and get up to 10$ off your first order. I have been using this Badger'a balm mainly under eyes area and for the hands and it works wonders. The skin is smooth, nourished and moisturized. It smells divine (a romantic smell of roses) that I would like to sniff it all the time. The balm is a multipurpose product and it can be used for face, feet, neck, hands, everywhere where the skin is dry and needs an extra boost. The product doesn't cause allergic reactions, doesn't clog the pores. It is very long lasting. Because it contains oils it is a bit greasy so better to use it as a night treatment. 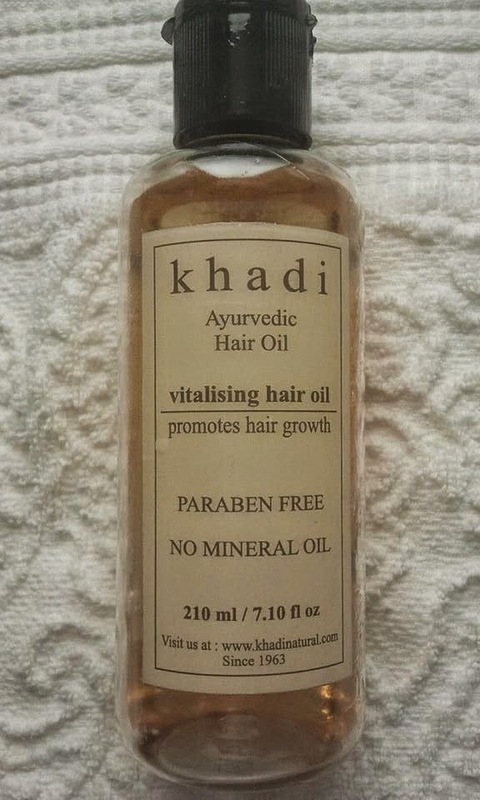 today I would like to review a Khadi Ayurvedic Vitalising Hair Oil. I am a big fan of ayurvedic medicine. In the past I have tried and tested many ayurvedic herbs, for example ashwagandha that is a godsend herb:). So, I don't have to tell you how excited I was to try out this product. I have ordered it directly from India via e-bay. I decided on this form of purchase because I read somewhere that the oil sold in Europe is a bit different, it has a milder composition than the Indian one. bala, rosemary and castor oil deep condition hair, strengthen hair roots and give vitality. It has a yellow colour and runny consistency, like a regular oil. You should be careful with the the application because it will stain easily and you won't be able to remove the stains. How I use it: I gently massage scalp in small rotations and keep it overnight. In the morning I wash the hair twice. Another option is using the oil before washing: I would keep the oil an hour before the washing but surely keeping it overnight brings better results. 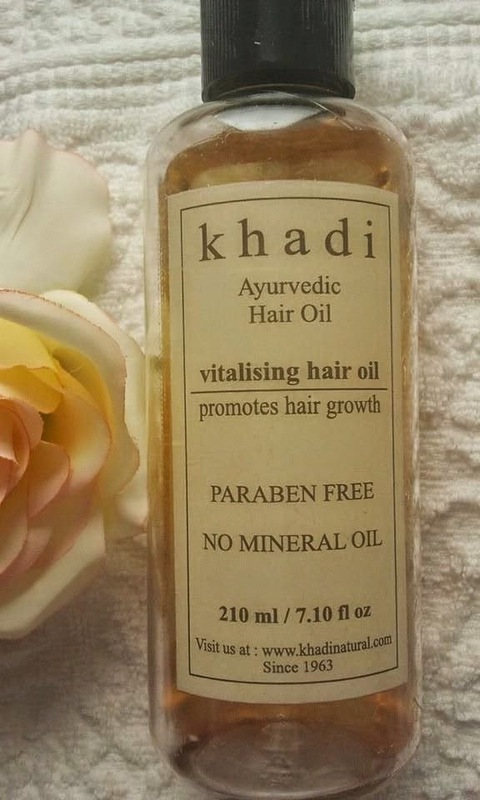 Overall the Khadi Ayurvedic vitalising hair oil is fantastic. The only downside is that it has a very intensive scent, a bit too overpowering for me. I am a scent sensitive person and that's why I am not able to use it on a regular basis. But, anyway I deeply recommend this oil to everybody. 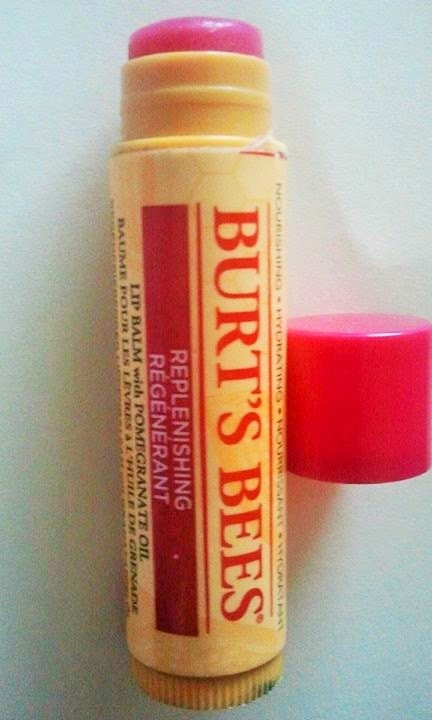 Burt's Bees Replenishing Lip Balm with Pomegranate Oil has a subtle red tint to it, which gives a little bit of color to the lips. I like its fruity natural smell. It is moisturizing on the lips and brings relief to dry or chapped lips. It is a bit waxy but I like it, it feels like my lips are well protected during cold windy weather. Lips stay moisturized some time after the balm wears off. I like it a lot for its natural and very good ingredients. After all, one should be very careful what to apply on the lips. Ingredients: helianthus annuus (sunflower) seed oil, cera alba (beeswax, cire d'abeille), cocos nucifera (coconut) oil, ricinus communis (castor) seed oil, lanolin, aroma (flavor)*, punica granatum (pomegranate) seed oil, tocopherol, rosmarinus officinalis (rosemary) leaf extract, glycine soja (soybean) oil, canola oil (huile de colza), carmine, benzyl salicylate, cinnamal, citral, eugenol, geraniol, hydroxycitronellal, limonene, linalool. today I would like to tell you about benefits of castor oil. 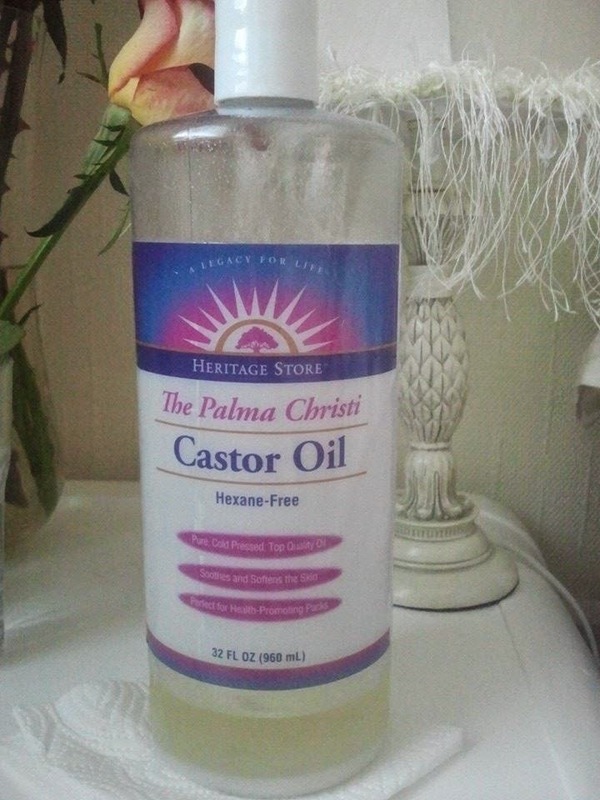 I am reviewing a castor oil from Heritage Store. The castor oil has great effect on the skin and hair. About its fantastic properties already wrote Edgar Cayce. Here is the link for those who would like to read more: http://www.edgarcayce.org/are/holistic_health/data/thcast1.html. I apply castor oil on the eyebrows and eyelashes. After a couple of months of using it my lashes have become very strong and long. The eyebrows are thicker and much darker:). I am very happy with this result because before my eyebrows were more of a brown-reddish colour. I use don't use castor oil on my blond hair because I don't want to darken the hair. In addition I have used the oil for deep burn scar and although I haven't used it regularly, I have noticed a big improvement in appearance of the scar which is now lighter, softer and smoother. I am mixing castor oil with flax seed oil and use this mixture as a makeup remover. It has helped me a lot with my acne prone complexion. The oil has thick consistency and you should be careful with the application, because castor oil stains are very difficult to remove. http://www.iherb.com?rcode=TAP615 and you will get up to 10 dollars discount. The bottle is very big (about a liter!!) and the oil is very efficient and I keep it in the refrigerator. today I am reviewing L'Oréal Professionnel Mythic Oil Masque. The manufacturer promises that after using it the hair will be nourished, soft and shiny and ... he is 100 % right. L'Oréal Professionnel Mythic Oil Masque contains oil from avocado, grape seed oil, argan oil and cotton. In addition, one of the ingredients of the mask is amodimethicone, but luckily it is a hair friendly silicone, which forms on the surface of the hair a film which protects against loss of moisture. It also improves combing process, prevents entangling and smooths the hair. Good thing is that amodimethicone can be removed with a gentle shampoo. I use this mask mostly during winter, when the temperature is low and my hair needs extra protection. I apply it for 3 minutes, as recommended, rinse and voila! I get a beautiful hair:). Keeping the mask longer doesn't make any significant changes in the look of my hair. And although 3 minutes sounds rather short it really is enough for this mask to do its job. I have however noticed, that the mask weights down my hair (after all it contains different type of oils). Because of that I apply it only from the mid-lengths of the hair to the tips. The mask is very efficient, you will need only a small amount. The mask has a pleasant sweet scent and rich, buttery texture. I can highly recommend L'Oreal Professionnel Mythic Oil Masque to everybody:). Ingredients: Water, cetearyl alcohol, behentrimonium chloride, candeila cera, amodimethicone, cetyl esters, isopropyl alcohol, glycerin, phenoxyethanol, persea gratissima oil (avocado oil), vitis vinnifera seed oil (grape seed oil), trideceth-6, limonene, chlorhexidine, digluconate, centrimonium chloride, hexyl cinnamal, coumarin, linalool.